By TTC – take the 509 or 510 Westbound Harbourfront/Exhibition/Spadina Streetcar from underground at Union Station. Disembark at Rees St. (Radisson Plaza Hotel) and head south on Robertson Cres. 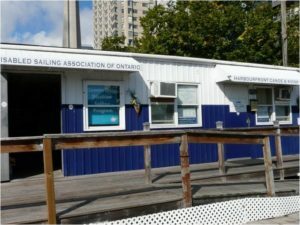 By Car – the clubouse is located on the South/West corner of Queens Quay and Rees St, just south of the Harbourfront Centre Sailing and Powerboating. North/West corner of Queens Quay W and Rees St.